Early in my high school U.S. history classes, I would ask students about “that guy some people say discovered America.” All my students knew that the correct answer was Christopher Columbus, and every time I asked this question, some student would break into the sing-song rhyme, “In Fourteen Hundred and Ninety-two, Columbus sailed the ocean blue” — and others would join in. “Right. So who did he supposedly discover?” I asked. 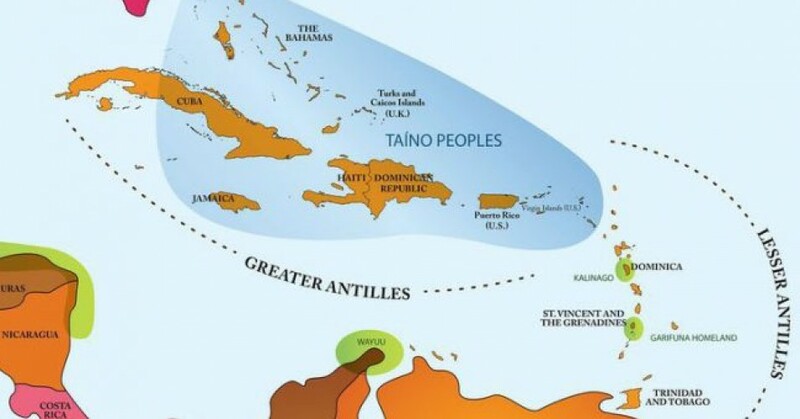 My students and I read and talked about this erasure — these horrific attacks on Taínos who might dare “to think of themselves as human beings.” Because Columbus’s policies of enslavement, terrorism, and ultimately, mass murder are so egregious, it’s tempting to focus only on Taíno deaths. It was a general rule among Spaniards to be cruel; not just cruel, but extraordinarily cruel so that harsh and bitter treatment would prevent Indians as daring to think of themselves as human beings or having a minute to think at all. So they would cut an Indian’s hands and leave them dangling by a shred of skin and they would send him on saying, “Go now, spread the news to your chiefs.” They would test their swords and their manly strength on captured Indians and place bets on the slicing off of heads or the cutting of bodies in half with one blow. They burned or hanged captured chiefs. My students and I read and talked about this erasure — these horrific attacks on Taínos who might dare “to think of themselves as human beings.” Because Columbus’s policies of enslavement, terrorism, and ultimately, mass murder are so egregious, it’s tempting to focus only on Taíno deaths. But those deaths can seem abstract and distant, unless we learn something about Taíno lives. Yes, and I was there too: see: https://themuslimtimes.info/2017/08/21/glimpses-into-the-life-of-a-global-nomad-part-six/ and, yes, I did not see any surviving native American, whether Taino or others. (We had a native American staff in our US office in Florida though).